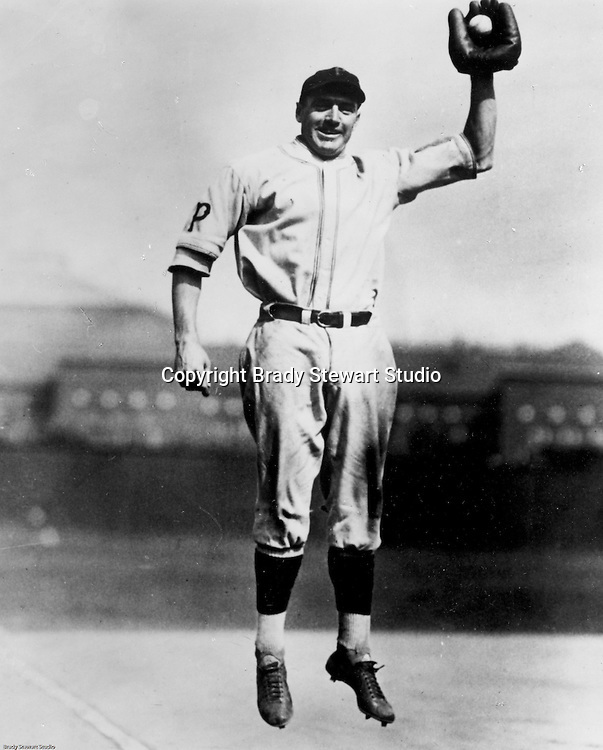 Pittsburgh PA: View of Pie Traynor posing for a photo at Forbes Field. He joined the Pirates in 1920 and was part of some of the best Pirate teams ever. He also managed the team from 1934-1939. After his playing and managing days, he lived in Pittsburgh and was a fixture at Forbes Field and also did many television commercials.